…leaders of all ages, nationalities, and backgrounds around the world are developing solutions to the challenges their communities face. As Executive Director, Solomé works closely with the board to set the strategic direction for Thousand Currents and is responsible for ensuring Thousand Currents remains a dynamic, innovative, and financially-sound organization, rooted in its support of grassroots partners. As a champion of social transformation through community-driven initiatives, Solomé joins Thousand Currents most recently from Africans in the Diaspora (AiD), an initiative she co-founded and led for four years before its merger with Thousand Currents. Previously, she served as Global Fund for Children’s Senior Program Officer for Africa for over five years, managing a portfolio of over 100 grassroots organizations in about 25 countries. Solomé has also worked with the UN Development Programme in Ethiopia, Human Rights Watch in New York City, and International Rescue Committee in Liberia. Solomé currently serves on the advisory board of the Agroecology Fund. Born in Ethiopia and moving to the United States at a young age, Solomé quickly learned of the skewed perspectives held of Africans. As a co-founder of Africa Responds, Solomé also led a diaspora-led humanitarian effort to galvanize fundraising for grassroots organizations that fought the Ebola outbreak in parts of West Africa. She is a White House Champion of Change for her work with diaspora communities. 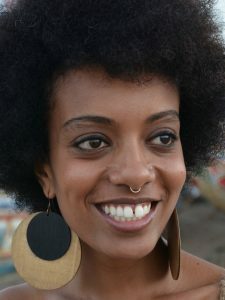 Solomé received a Master’s in Public Policy from the Harvard Kennedy School and a Bachelor’s in International Relations from Stanford University. During to her 15+ years of experience in philanthropy and social change, Solomé has become a strong voice against “inequitable and ineffective partnerships” and a fierce supporter of local leadership. Solomé’s work and writing has been featured in Forbes, the Washington Post, The Guardian, Inside Philanthropy, and Africa is a Country, among others, and she has appeared on NPR, BBC, and Al Jazeera discussing aid and philanthropy in Africa. She has been an invited guest speaker at community events, conferences, and universities such as the University of Vermont, Columbia, and NYU. Solomé was named as one of Foreign Policy Magazine’s “100 women to follow on Twitter” at @innovateafrica. As an African feminist, activist, and artist fiercely committed to social justice and human rights, Rudo Chigudu has worked with social movements on the African continent. She has worked for close to a decade with young women on issues of sexuality and leadership. Using creative arts as a feminist popular education tool to politicise sexuality and its linkage to broader political discourse. 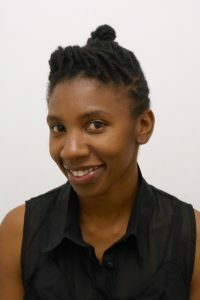 She is co-founder of Katswe Sistahood, a Zimbabwean based young women’s organisation and is popularly known as a V warrior for her engagement in the struggles surrounding women’s bodily autonomy and sexual diversity. She holds a Master of Philosophy in Sexual and Reproductive Rights in Africa. Her recent work includes projects on the politics of land as history, identity and a means towards food sovereignty within Africa. Jinky de Rivera oversees the financial, human resource and organizational effectiveness functions at Thousand Currents. As part of the senior management team, Jinky brings nearly twenty years of experience in leadership, technical expertise and strategic thinking. Their history directing nonprofit financial operations spans human rights and social justice organizations in the Bay Area and New York City. Starting at GLSEN and the Audre Lorde Project and most recently at Out Right International and currently serves on the Leadership Sangha of the East Bay Meditation Center, which strives to foster liberation, healing, social action and community building. 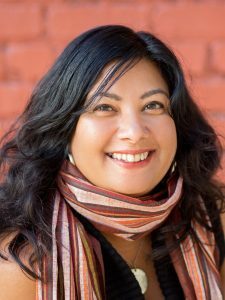 A native New Yorker, Jinky moved to Oakland in 2004 where they earned their MFA in English & Creative Writing at Mills College. They are the co-editor of the anthology Homelands: Women’s Journeys Across Race, Place and Time (Seal Press, ed. 2007). To find out more about the magic of combining social justice, creativity and math skills read Jinky’s entry on the Thousand Currents blog. 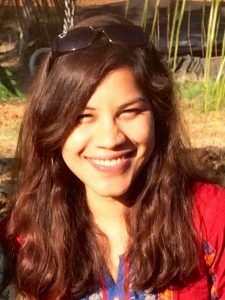 A seasoned organizer, Trishala Deb leads Thousand Currents’ programs in Asia. 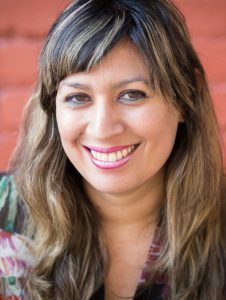 She has worked at the intersection of a variety of issues – immigrant and refugee rights, gender justice, and anti-violence and militarization – supporting the capacity building efforts of emerging grassroots organizations. Previously, she worked for the Caring Across Generations campaign, bringing together home care workers, consumers, and families. She also coordinated a program for immigrants at the Audre Lorde Project, a community organizing center for lesbian, gay, bisexual, two spirit, and trans people of color in New York City, and has worked with the Arcus Foundation and Public Interest Projects. 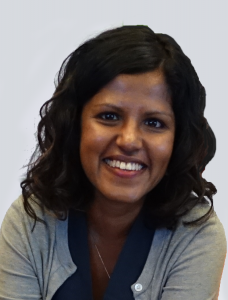 Trishala has served on the advisory board of the National Network of Immigrant and Refugee Rights and worked with Migrant Rights International. She has also served on the Steering Committee of Grassroots Global Justice to connect issues of migration, sustainable development, and economic justice with organizations in the Global South and the U.S.
Dino Foxx, born and raised in San Antonio, Texas, is a nationally presented actor, singer, poet, arts educator and activist. They are a founding member of a Queer Xicana/o Performance Poetry Collaborative and a company member with Jump-Start Performance Co. Their poetry has been published in such collections as Mariposas: A Modern Anthology of Queer Latino Poetry (Floricanto Press), the 19th issue of Suspect Thoughts: A Journal of Subversive Writing (2007), and Queer Codex: Chile Love (Evelyn Street Press/allgo). 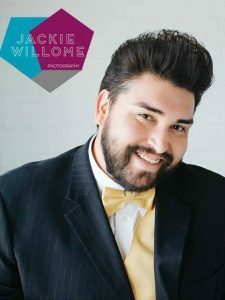 Dino is the author of When the Glitter Fades (2013) and will also be featured in the upcoming poetry collection Joto: An Anthology of Queer Xicano & Chicano Poetry through Kórima Press. 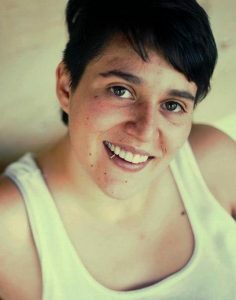 Francisca has worked closely in/with/for cultural/social organizations/social movements/activist collectives that focus on queer, LGBTQ+ rights, youth, sexual and reproductive rights, feminist activism, and socio-environmental causes. She has been part of social and political changes through legislation, community consultations, political actions and grassroots activism. She strongly believes that the work social movements carry out is changing the world. Prior to Thousand Currents, Francisca worked in a feminist organization to generate social change, as well as public policies from a gender perspective to improve the lives of women in Mexico and the Latin America region. She holds a double major in Mass communications and Sociology, but is a big fan of cinematography, photography, music, the arts, and a good book. Francisca enjoys spending time in silence and close to nature. Gabriela Hylton Garza has 10 years of Administrative and Event Management experience. Having held various positions in Education, Human Resources, and Project Management, she has increased efficiency in several of her assigned roles. Gabriela is inspired when supporting the dynamic work of non-profits dedicated to global transformation. She was a facilitator and founding member of the Stewardship Circle for Thrive East Bay, a meaningful community dedicated to creating a just and flourishing world for all. Gabriela is passionate about guiding Grandmother Ceremonies, Water Blessings and circles that focus on honoring the ancestors and connecting with Mother Earth. She is committed to co-creating a world where individuals share their passions and unique gifts openly, experience unconditional love, and support the next generations to become thriving and compassionate individuals. Ashlesha Khadse is connected to the Amrita Bhoomi Agroecology School, a peasant agroecology training school in southern India, which is run by the Karnataka state’s farmers’ movement and part of the global peasant’s movement, La Via Campesina. At Amrita Bhoomi, she helps to coordinate trainings for rural youth. She has been working with farmers’ and food movements since 2009. She completed her Msc at El Colegio de la Frontera Sur (ECOSUR) in Chiapas, Mexico in 2016 where she conducted research on the Zero Budget Natural Farming movement, an Indian peasant led agroecology movement which has millions of peasant members nationally. Her main areas of interest are agroecology movements, gender and agriculture, grassroots solutions to the agrarian and climate crisis. She loves Mexican food and is dreaming of starting a taco truck with her partner in Mumbai. 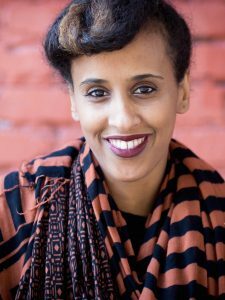 As an African of Eritrean origin, Luam Kidane has worked in and with social movements on the continent and in the African Diaspora at the intersections of self-determination, food sovereignty, and cultural production for close to a decade. She received a Master’s from McGill University, focusing her thesis on the liberatory value of cultural production. Through popular education, Luam has sought to spark insurgent imagination and create improvisations of freedom. She is the co-curator of NSOROMMA, a pan-African arts initiative and has written several publications and articles on radical transformation in Africa. 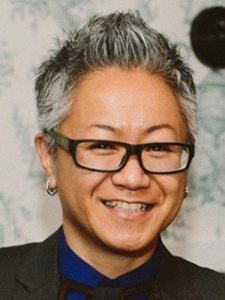 Prior to joining Thousand Currents, Luam worked with several philanthropic and social change initiatives as a researcher and strategist on food sovereignty, youth programming, gender, and sexuality. Jennifer Lentfer is constantly looking for ways to portray the realities of people’s lives, their struggles, their strengths–as well as outsiders’ roles and mistakes–in an impatient, “silver bullet solutions” world. In 2010, she created the blog how-matters.org to help place community-driven (rather than donor-driven) initiatives at the forefront of international aid, philanthropy, and social enterprise, and in 2012 she was named as one of Foreign Policy Magazine’s “100 women to follow on Twitter” at @intldogooder. Jennifer has served with various international organizations in Zimbabwe, Malawi, Namibia, and the US, including Oxfam, the Red Cross, UNICEF, Catholic Relief Services, and Firelight Foundation. Her first book, Smart Risks: How small grants are helping to solve some of the world’s biggest problems, co-edited with Tanya Cothran in 2017, features the growing community of international small grantmakers that find and fund effective grassroots leaders around the world. With her students at Georgetown University in 2014, she published “The Development Element: Guidelines for the future of communicating about the end of global poverty.” Jennifer is currently an instructor in the University of Vermont’s Master’s in Leadership for Sustainability program and is a published poet. Given that her hometown of Bruning, Nebraska, USA has a population of just 248 people, it’s no wonder that Jennifer found her true calling in accompanying grassroots groups to be strong forces for social transformation. 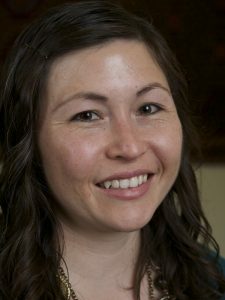 Masaki was born and raised on O’ahu, Hawai’i, and she brings experience in feminist activism and research, community engagement, and fundraising for women’s rights and social change organizations. She holds a Bachelor’s in Women’s Studies and Religious Studies from San Diego State University in California, and a Master’s in Development Studies from the University of Auckland in Aotearoa/New Zealand. Her thesis research focused on the intersections of gender, climate change, and transnational Pacific Island communities. Prior to joining Thousand Currents, Masaki supported a feminist research project exploring gender inequality in the Pacific Islands through the lens of local marketplaces. Previously, she worked at the Global Fund for Women, focusing on donor stewardship and grant writing. She has also worked for Making Contact/International Media Project, and UpsideDowns Education Trust. Masaki enjoys spending time outdoors, particularly when that entails being in or near the the ocean. She is an avid traveler, reader, and information seeker, and a proud aunty to two adorable nephews. Lindley is dedicated to nurturing networks of solidarity for grassroots leaders advancing just and regenerative solutions to climate change. She coordinates the Climate Leaders In Movement Action (CLIMA) Fund at Thousand Currents, mobilizing funders to collaboratively give to climate justice movements in the Global South. She is also the Co-Founder and Co-Director of Blue Heart, an organization that organizes millennial donors to give to frontline organizations in the United States. In these roles she is working to build accountability and humility into philanthropic giving, and to elevate the stories of scrappy organizations building real political power. Prior to Blue Heart, Lindley was a Senior Research Analyst at Stanford University’s Woods Institute for the Environment. Lindley currently teaches a class on human-centered design for graduate students at Stanford University; is an experienced mediator and counselor; and organizes with LeftRoots, a national formation of social movement activists. Lindley has a M.S. in Earth System Science and a B.A. in Human Biology from Stanford University. Although her roots run deep beneath the Cascades of Washington State, she has fallen hard for the Sierras and the Redwoods that surround her home of Oakland. As a Mellon Mays Undergraduate Fellow at Whittier College, Verónica Moreno has always been committed to amplifying the voices of underrepresented peoples in both academia and her own community. Verónica was awarded a Fulbright Scholarship to Argentina, where she designed and taught a syllabus focused on social issues in media and pop culture. She also organized a video production workshop for both teachers and students. She returned to the U.S. and after a short stint at a tech company, Verónica re-committed to social change and joined the Thousand Currents team. She brings an eclectic set of skills to the team, ranging from operational support to handling heavy-duty power tools. On her free time, she enjoys live music, cooking soups, building things, and writing about the lessons from the “everyday mundane” that she finds incredibly fascinating. 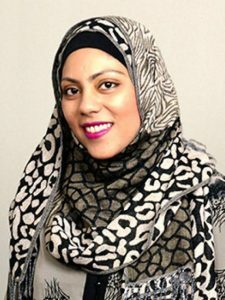 Hafsa Mustafa is a seasoned researcher, monitoring & evaluation (M&E) expert, educator, and fundraiser with more than a decade of experience working with nonprofits, foundations, and corporations in the U.S. and abroad. As the Learning and Evaluation Manager for Thousand Currents, Hafsa works on evaluating the Thousand Currents Academy, Buen Vivir Fund, and other programs. Her passion to create sector-wide strategic partnerships and promote data-driven decision-making was born in Pakistan, where she worked on designing tools and M&E systems to address these challenges. 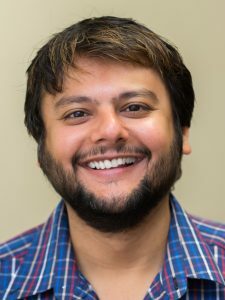 Major projects include developing tools and systems for RISEPAK – an award-winning project by John Hopkins University and the World Bank; co-establishing M&E systems at Marie Stopes International for the Buffet Foundation Project; leading a qualitative study for the Kennedy School at Harvard University on the Hajj; and advising a University of Illinois research project on first-generation Sub-Saharan Africans. Hafsa is currently an Adjunct Faculty at the University of San Francisco’s School of Management and volunteers her time by working on pro-bono projects for the American Pakistan Foundation and serving on the boards of the UChicago Bay Area Alumni Association and Collaborative Enterprise Exchange. Hafsa earned her Master’s in Public Policy and Program Evaluation from the University of Chicago and her Bachelor’s in Economics with a minor in Mathematics from the Lahore University of Management Sciences. 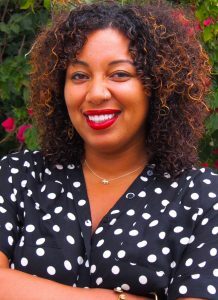 Nina Robinson is an impact capital convener with over 10 years of experience working with mission-driven entrepreneurs and innovative investment models including The Runway Project Oakland, Homestake Ventures, and as a RSF Integrated Capital Fellow in 2017-2018. Nina has advised numerous small businesses on strategic growth, capital raising, impact and organizational development which has resulted in creation of 400+ local good jobs, and the facilitation of over $10M in capital investments. At ICA Fund Good Jobs, Nina managed a $2.2M investment portfolio and provided consulting, capital raising support, and board participation to seed portfolio companies. Nina received her MBA from the Lorry I. Lokey School of Business at Mills College, and holds a Bachelors degree in High Technology Management from California State University. Nina holds a Certificate for Board Directorship from the Anderson Graduate School of Business at UCLA. Nina sits on Credit Committee of The Runway Project and when she isn’t working towards economic justice, you can find her spinning records around the globe as Nina Sol. Gaithiri is a finance professional with over 15 years of progressive leadership experience in investments, management consulting, risk advisory, and operations. She played a key role in the North America expansion and diversification of a $40B Malaysian strategic investment fund into the technology sector, where she partnered with teams across North America and Asia to execute on critical strategic investment decisions. She has closed over $40M investments to-date and led diligence for numerous deals totaling over $300M. In previous roles, Gaithiri has consulted for the UN in Indonesia, Laos, and Myanmar, predominantly to improve reach and efficacy of spending. She led large teams under difficult conditions in these remote areas of Asia for the oversight of disaster-relief fund management and micro-financing for women. As a Malaysian of Indian origin, Gaithiri is familiar with ethnic discrimination and is very keen on closing the inequality gap, especially amongst minorities. She has a Bachelor of Accounting (Honors) degree and a CPA. An avid reader, she also enjoys the beach, baking, kickboxing, and film photography. These days, however, she spends all her free time chasing after her 1-year-old daughter. Originally from Texas, Rachel is an audio-visual artist, musician, data nerd and lifelong learner. Her educational background has ranged from sociocultural anthropology, linguistics and museum studies to coding, game design and VR to creating really terrible pottery. 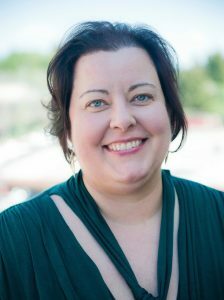 Professionally, Rachel has over 15 years database management and fundraising experience, from organizations including The Asia Foundation, San Francisco’s Grace Cathedral, and the Adler Planetarium in Chicago. She currently volunteers and serves on the board of Bay Area Girls’ Rock Camp, a grassroots music education organization dedicated to gender justice, creativity and transforming the lives of young people. In her free time, Rachel also records and releases music under the experimental collaborative International Corporation. Jessie Spector organizes donors and supporters of Thousand Currents to engage and leverage their whole selves in support of social justice. Having worked with individual donors and funders for nearly a decade, Jessie is passionately committed to organizing people with financial privilege to be in solidarity and partnership with frontline communities. 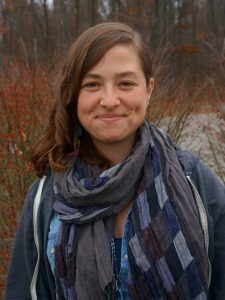 Prior to joining Thousand Currents, Jessie was the Executive Director of Resource Generation, organizing wealthy people ages 18-35 to become transformative leaders toward a world with the equitable distribution of land, wealth, and power. Jessie deeply believes in the goodness of all people, and the vital role that people with privilege can play in supporting a more just and peaceful world. Jessie serves on the boards of the Markham Nathan Fund for Social Justice and Jewish Voice for Peace. When not organizing, Jessie can be found on long bike rides through New England, baking bread, and eating ice cream. 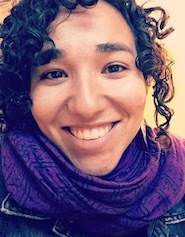 A native of Peru, Katherine Zavala leads Thousand Currents’ programs in Latin America and has played a leading role in amplifying innovative local models and solutions in women’s rights, food sovereignty, and economic justice to key philanthropic audiences in U.S. and Europe, including millennials and diaspora groups. She is an experienced alliance-builder, connecting organizations to share analysis, take joint action, and advance multiple pathways for social justice. Katherine has worked alongside AFEDES, an indigenous women-led organization in Guatemala (and a Thousand Currents partner), for 5 months to support their economic empowerment program; and spent six weeks learning from the Movement of People Affected by Dams, a national social movement in Brazil. She has also written numerous articles and blogs that champion indigenous cosmovision and activism, and highlight how indigenous women’s leadership and resilience is at the heart of dignified livelihoods and a sustainable ecosystem. Katherine was the co-chair for the Latin American Funders Working Group from 2010 to 2015, hosted at the International Human Rights Funders Group. Katherine earned a Master’s in International Relations from San Francisco State University and a Bachelor’s in Hospitality Management from Florida International University.